A monthly clinical seminar for arts psychotherapists, counsellors and psychotherapists working with people living with the consequences of early relational trauma. The aim is to develop participants’ understanding of the relational territory that is encountered in psychotherapeutic work with people who may be described as ‘borderline’, ‘narcissistic’, ‘difficult to reach’ as well as those with psychiatric diagnoses of psychosis or personality disorder. Psychoanalytic understanding enables the emotional experience of this territory to become more thinkable, and therefore more available to the therapist’s reflective work, whatever approach is being used. The seminars aim to provide a confidential space in which participants can refresh their theoretical and experiential understanding of challenging issues in their work by sharing and discussing case material. No more than two cases will be presented by participants on each occasion, enabling the group to reflect in depth on the material presented and arrive at insights informed by psychoanalytic understanding. The seminars can be attended on a continuous or one-off basis. There are places for two to eight participants. The venue is within a few minutes’ drive of Junction 13 of the M1. 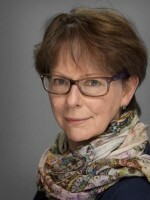 Katherine Killick is a Training Analyst of the Society of Analytical Psychology and a Training and Supervising Analyst of the British Jungian Analytic Association. She regularly contributes to the Jungian analytic trainings at the Society of Analytical Psychology and the West Midlands Institute of Psychotherapy through her work as a seminar leader.